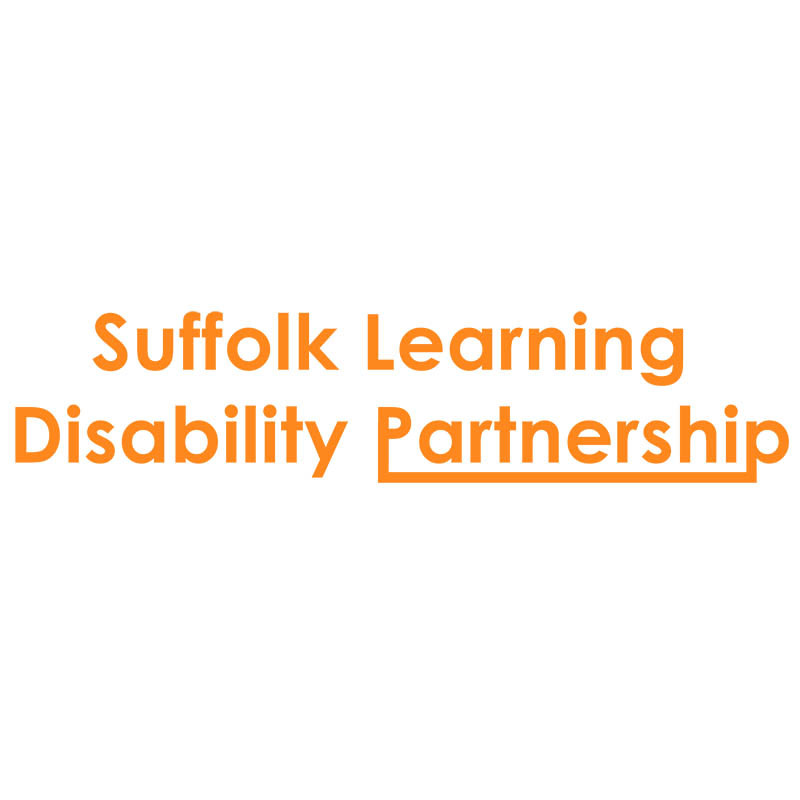 What has the Suffolk Learning Disability Partnership done? 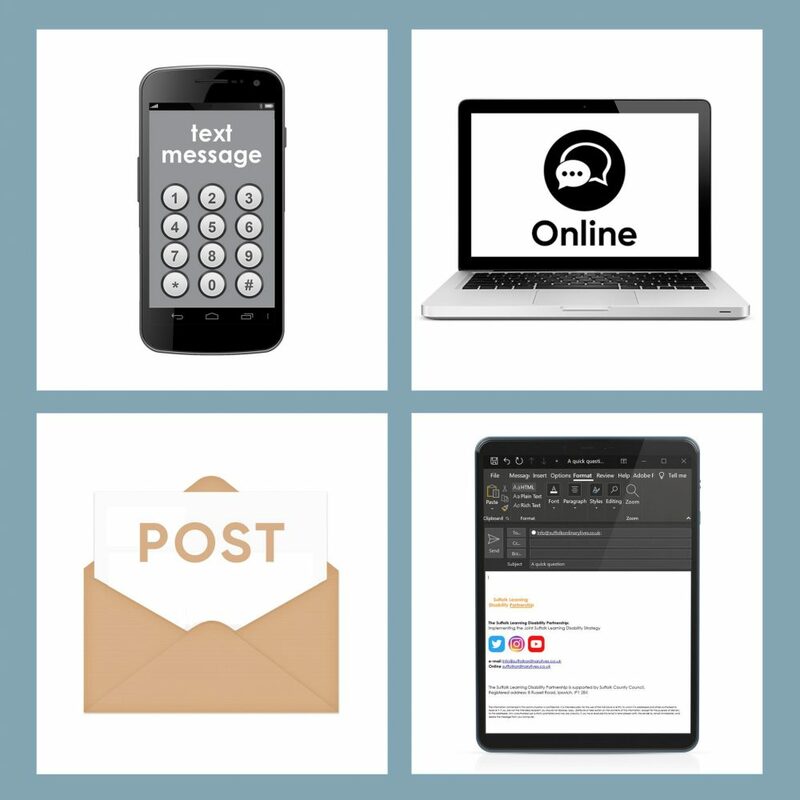 Ace Anglia have worked with the Suffolk Adults Safeguarding Board to produce a number of accessible documents that help explain what safeguarding is, the types of abuse that may happen and who to contact if you or someone you know is at risk. 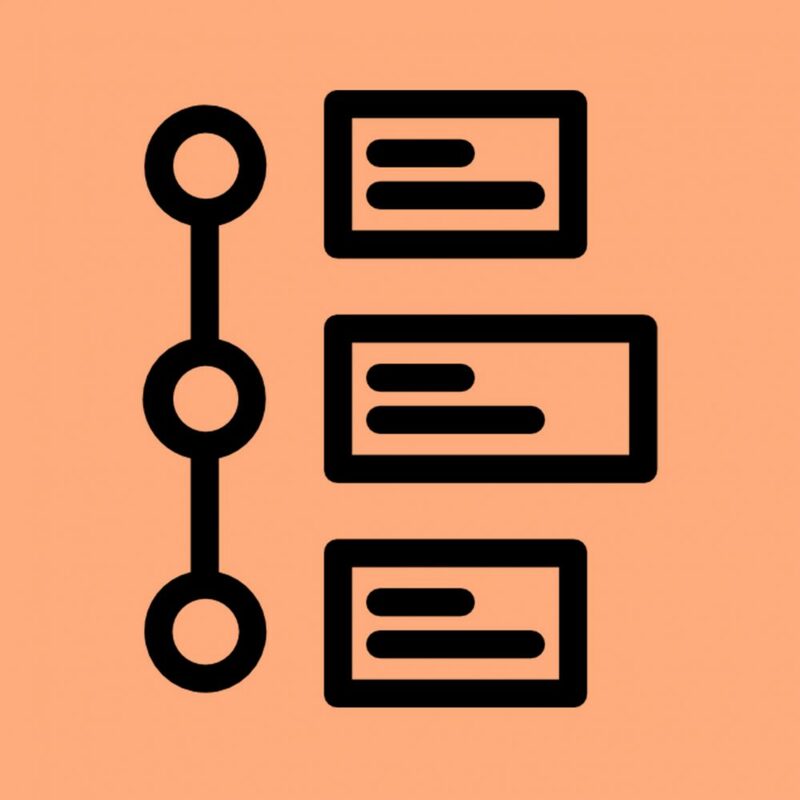 All of the documents will be hosted on this website in the January 2019. 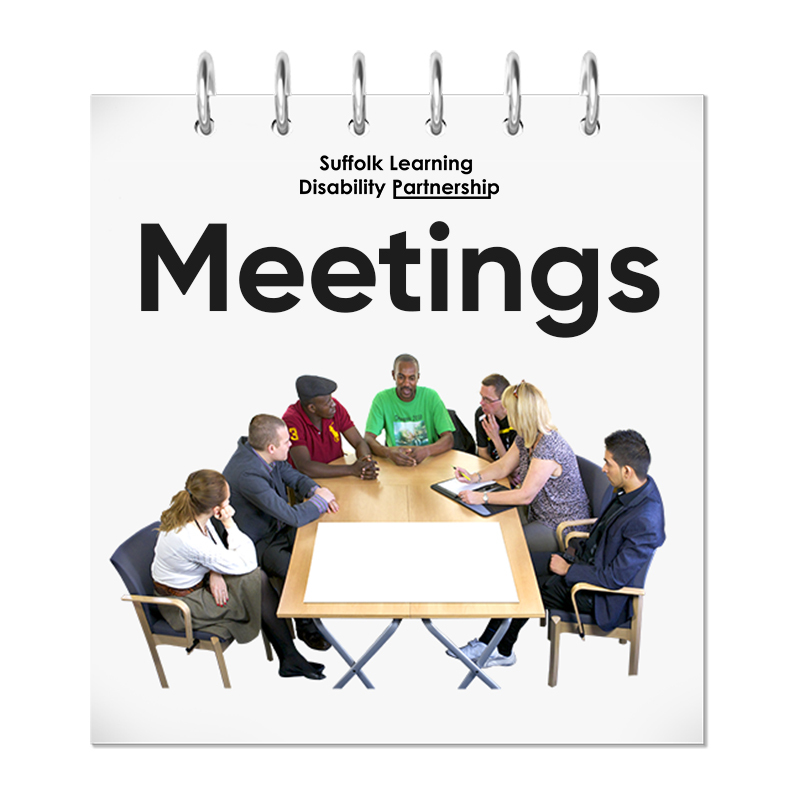 Suffolk County Council are working with members of the Partnership & support providers to look at how activities for day, evening & weekend activities can be hosted online. This way, people will be able to choose how they spend their money on support and activities and have a greater choice of what they do and when they do it. Members of the Partnership supported the creation of a survey about being a family carer. The survey asked questions about the support people receive, experiences of care providers and ideas for new things that could help people in their caring role. 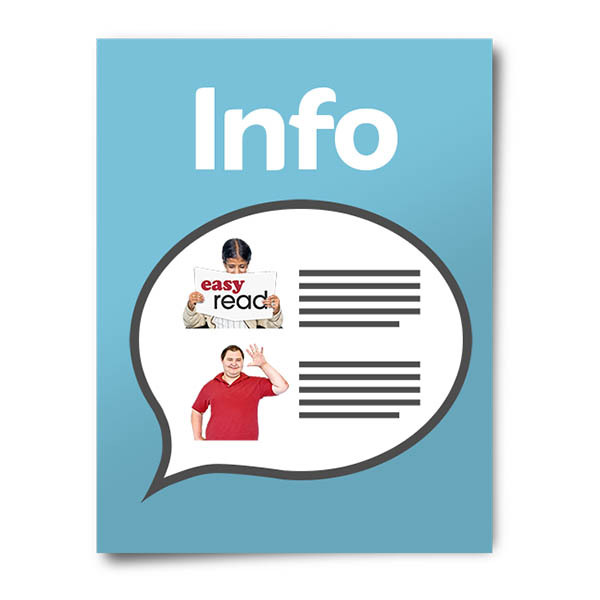 Because we acknowledge there are lots of family carers who have a learning disability, we created an easy-read version. Visit our news page for more information. Members of the partnership attended a conference: Black History Month: Celebrating Past, Present and Future Contributions. The event was hosted by Norfolk & Suffolk NHS Foundation Trust and celebrated the contribution of Black & Ethnic Minority staff, sharing staff stories and presented current statistics around diversity within NSFT. Suffolk County Council, Adult & Community Services hosted a provider workshop to start co-producing how provider services and activities could be hosted online. This would take the form of a ‘service directory (a list of different services) and each provider could clearly show what they offer, along with details of prices, times, locations etc. The Housing Pathway Working Group had its first meeting. The pathway will look at routes through and between housing options that everyone can understand. This could be Suffolk County Council or Social landlord housing, Private rentals, shared/home ownership, Supported Housing, Residential or other options. We would also like to develop a clear vision for our supported living models including recognising diversity of approaches required and clear messages for the housing, care and support markets. Joel Mayo, a Champion in the Staying Healthy Safe & Well Workstream was supported by Ace Anglia to present the new easy-read resources to GP Practice Managers. Practice Managers run Doctors Surgeries across Suffolk. The resources will be available on the Useful Information pages in November. 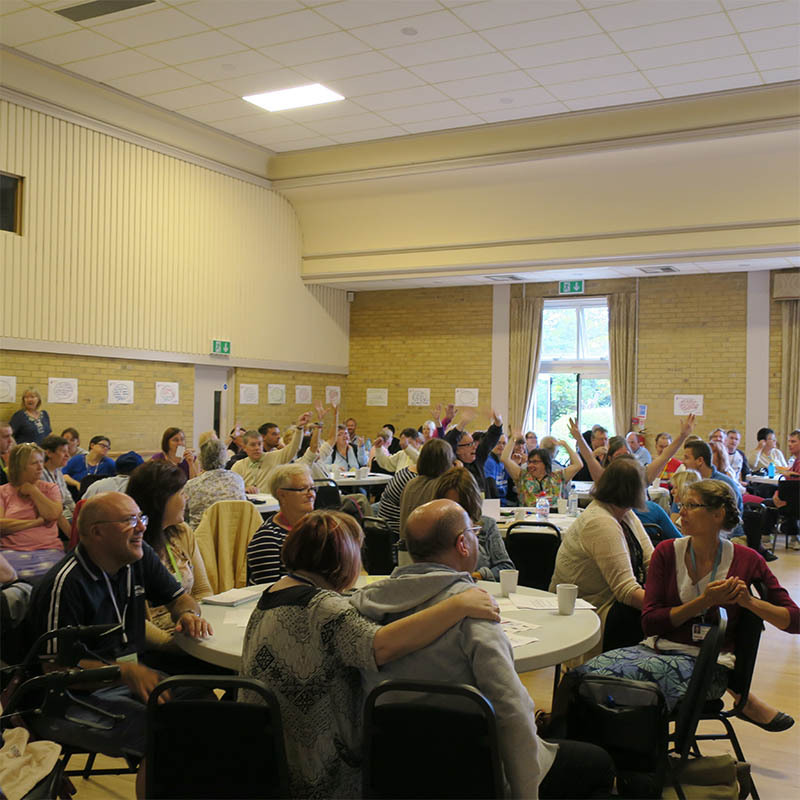 Ace Anglia hosted their county-wide speaking up meeting. Agenda items included: The new Primary Care easy-read booklets, Government consultation on buses, Good news stories and the mental Health consultation. The next Suffolk People First meeting is on the 7th of December. 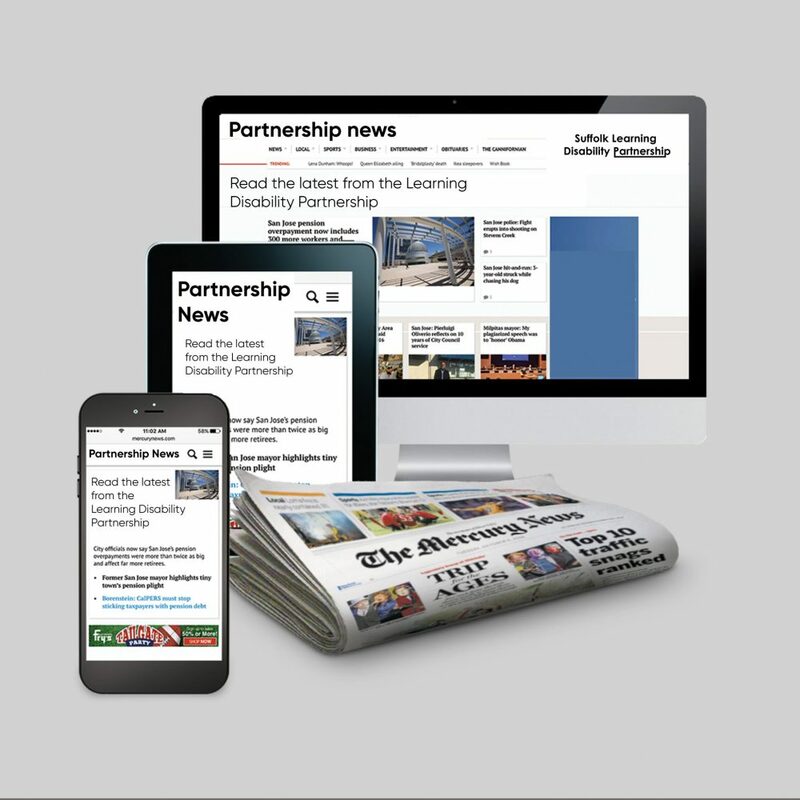 The Partnership hosted a Joint Workstream meeting, which looked at the ideas and input shared in the Strategy refresh meeting in July. We co-produced a plan moving forward to make the most of our resources and to constantly develop the way we work together. A full report of the 2018-20 strategy refresh will be available in late October 2018. On Thursday 11th of January the Learning Disability Partnership hosted the first meeting of the Support Worker & PA Network. 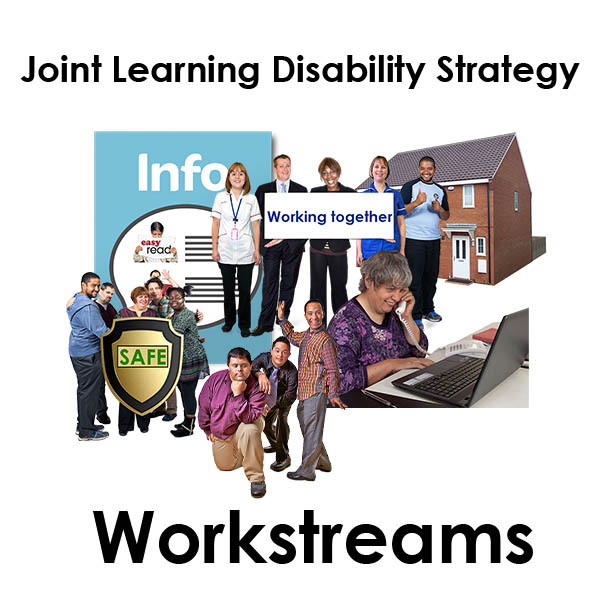 The network was of the original priorities of the Learning Disability Strategy. Support Workers are integral to the implementing the vision of the Strategy, and there needs to be a space to hear their voice. Members of the Partnership attended the Suffolk Show, telling people about the Learning Disability Strategy & asking people what they like to do in the evening using an online survey. Members of the ‘Staying Healthy, Safe & Well’ Workstream attended the Patient Partnership Conference, hosted by the Ipswich & East Suffolk Clinical Commissioning Group. The Partnership hosted a Provider Event at Landmark House in Ipswich. We shared the specifications for new services, which will come under new categories in what is called a Framework. The categories are: Day, Evening & Weekend Activities, Planned Supported Breaks, Support me in my Life and Preparation for Work. Max Clark (Accessible Information Lead at Ace Anglia) & Mark Conquer (Champion for Information, Advice & Advocacy) delivered some training about the Accessible Information Standard to GP Practice Managers. The Partnership hosted a event for Employment Support Providers, setting the scene for the potential changes in commissioning, and how Providers would adapt to provide a good service for people around Employment Support. Anya Wooddissee (Co-production Project Lead at Ace Anglia) & Mark Conquer (Strategy Champion for Information, Communication & Advocacy) went to visit people to talk about the impact of the Accessible Information Standard. They took the survey written by NHS England to people living across Suffolk. 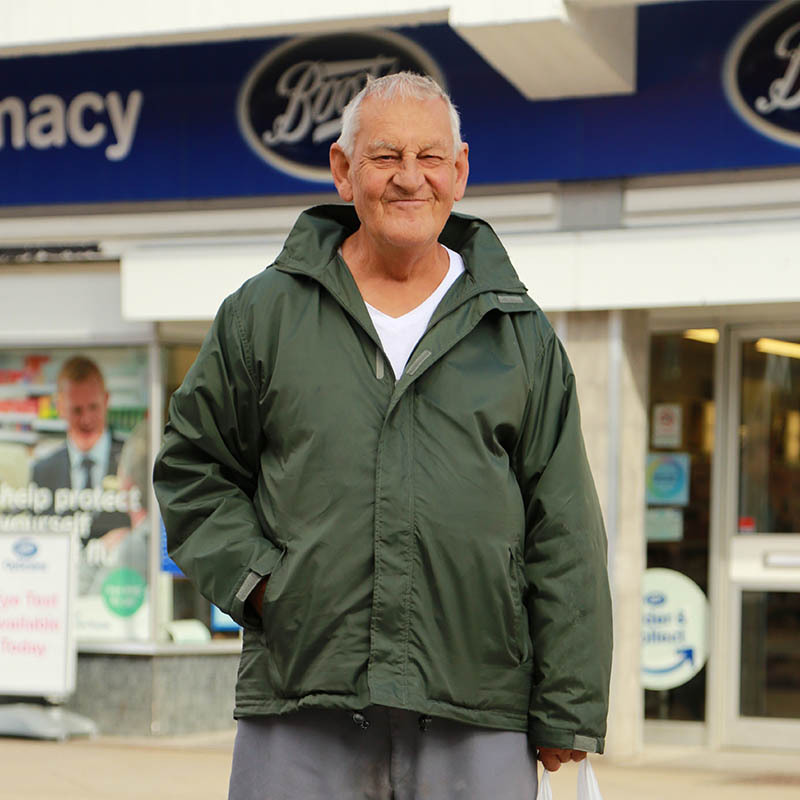 They supported people to fill in the survey, and the responses were sent back to NHS England for them to review.